Scott solves “impossible” issues/opportunities in Business and in Society. His work is inspired by his experience with business leaders – trying to do the right thing in complex, competitive situations; his work with Social leaders in NGO’s and government – seeking to satisfy diverse stakeholders in ways that benefit the whole; his career as a Rolfer and trauma psychotherapist – witnessing people recover from the injuries that life and humanity too often deal us; his time in nature as a cowboy, hunter, sailor; and as an internationally competitive athlete. Born and raised in South Texas working on ranches and fishing boats, Scott’s experiences range from consulting with Arthur Andersen & Co. to launching the Texas office of The Nature Conservancy; serving as Managing Vice President of RPC, a small national consulting firm to leading the Rolf Institute as Executive Director; Vice President for ARC, International, a global consulting firm specializing in leadership development and cultural change to working for Stone Yamashita Partners, a leading global branding and strategy firm; from serving as CEO and COO for VC firms to working with former guerrilla and indigenous leaders in Guatemala. And he continues to learn by working with Business and Social leaders. His unique talent stems from blending his psychotherapeutic and systems thinking/modeling careers to integrate what it means to be fully human with what it means to create effective strategic action in highly complex systems. Scott enables leaders, key actors and stakeholders to “get their head around” complex systems – which serves as the foundation for: aligning individual purpose with organizational &/or network goals; collectively identifying the handful of key levers required to transform a complex system; co-creating the strategies required to successfully impact those levers; and collaboratively engage as a coordinated network of actors to implement adaptable strategic change. This integrated approach has proven to accelerate results in the domains of strategy, complex systems, cultural transformation and executive coaching in industries including Finance & Banking, Consumer Product Goods, Healthcare, Technology/Science/Engineering, Non-profit & Government, Retail & Hospitality, Environment & Energy. 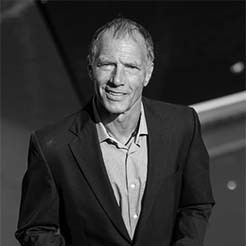 Scott’s applied his unique strategic methodologies successfully in businesses like Apple, HP, and Humana; with social issues like Climate Change, Affordable Housing, and Social Justice with foundations and NGOs; and on complex projects for the U.S. Navy, the White House and many others.